Hey guys! 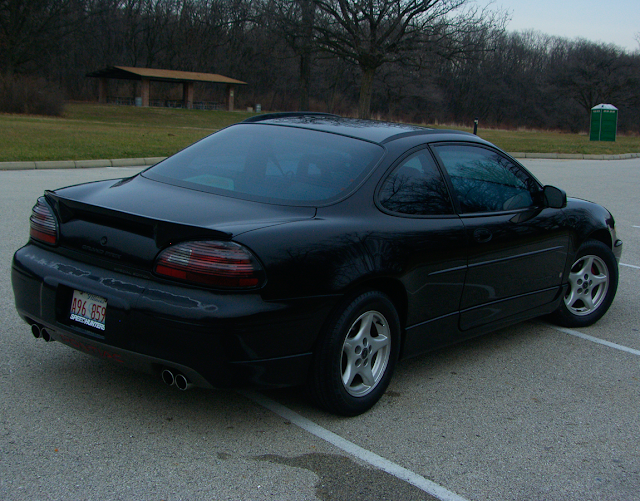 If youre a member on GPForums u might recognize the car/username, otherwise let me introduce myself. 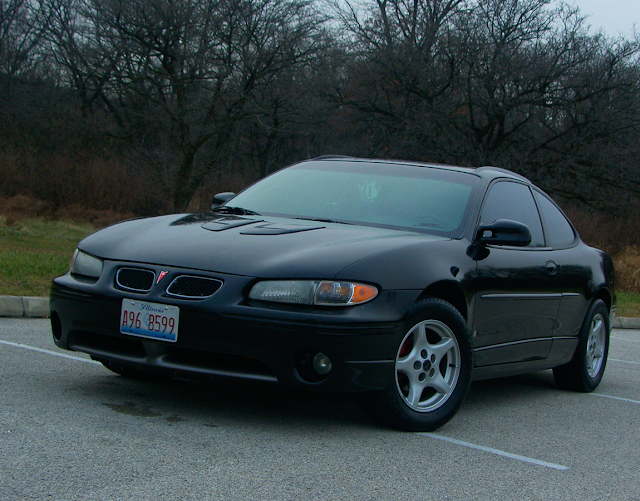 Im Adrian, 20 years old, my first and only car so far is a 2001 Pontiac Grand Prix GT 75th Anni (Special Edition) and has hit the beautiful 150k mile mark without giving me any major headache. Love the car, have a couple of mods in progress (most notably suspension overhaul and new tires). Im happy to be a new member! Thanks for viewing this useless post. - i love this little icon. Well, I registered a few minutes before you, but I guess I can welcome you anyway ! as of now the only (non)go-fast mod is the intake. theres a w-body/3800 meet in iowa this spring where im gonna score a ported lim and a tune. i do have a 2.5in catted dp (damn emisions) waiting to be put on. same with agx struts + ssc springs, slp swaybars and a thrasher cai box. i will be getting heavy duty lca's and umi trailing arms, quite possibly a plog. I like the 1st gen W-body GP wheels on there. Rear bumper needs some lovin'. I agree about the rear bumper. Nice GP though! Thanks for the welcoming guys! Great car for a first car! Welcome! Check out some of my shots of our Grand Prix, beautiful cars and a nice one you have there! Again, welcome!